This set don't includes the Arduino or the Shield. Basic Version without voltage regulator parts. 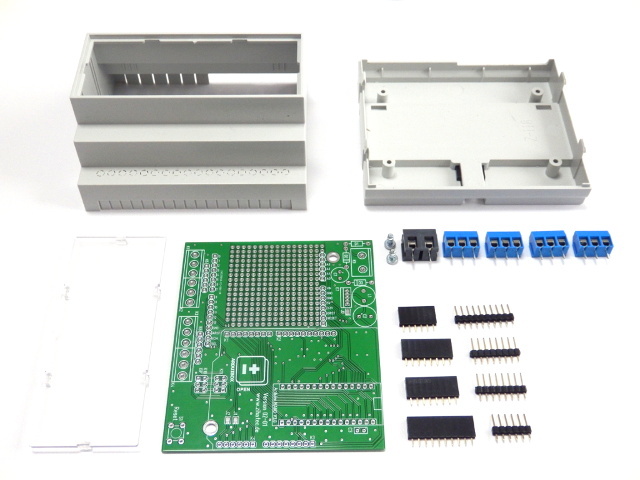 Din rail enclosure set for NodeMCU V2 (Amica). The NodeMCU is not included. 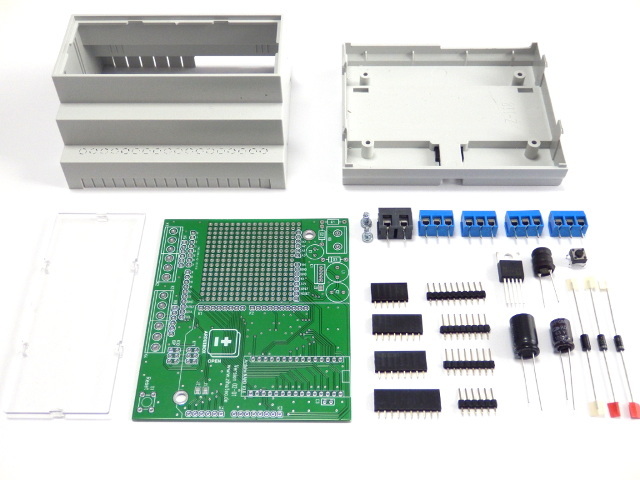 Standard Version includes voltage regulator parts.